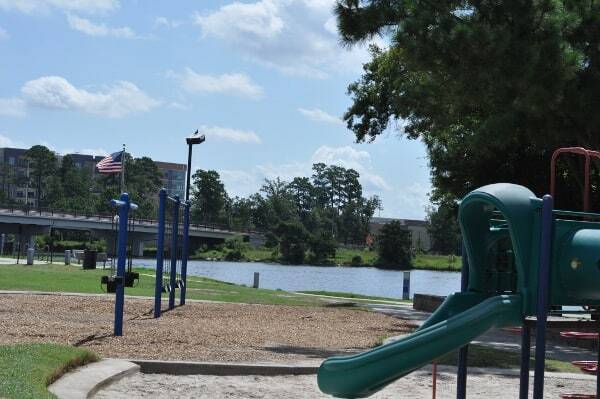 This beautiful park in The Woodlands is on the water, full of equipment, trails and picnic tables and is home to a lot of community events. It’s Northshore Park! 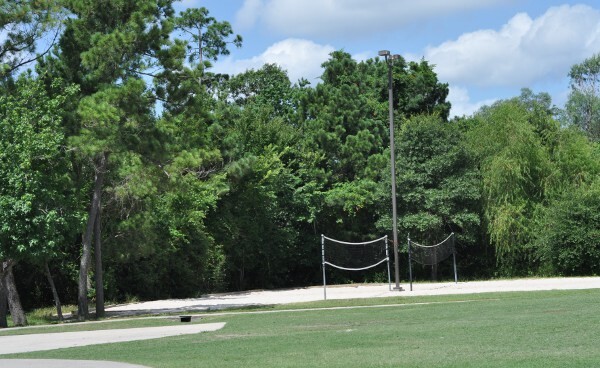 This wooded park is connected by walking trail to Hughes Landing, the restaurants and the Embassy Suites. You can walk or bike here, or park in the free lot. 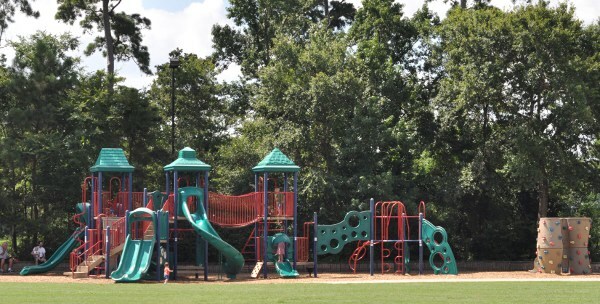 The park has swings, a toddler playground, big kid playground, volleyball court, pavilion and restrooms. 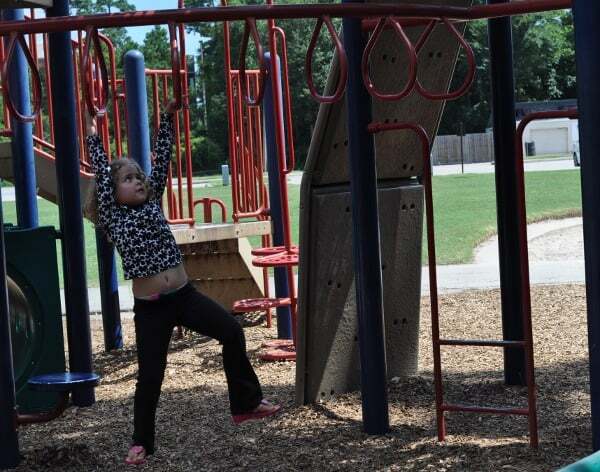 When we visited, several families were playing (and ignoring the Houston heat!). 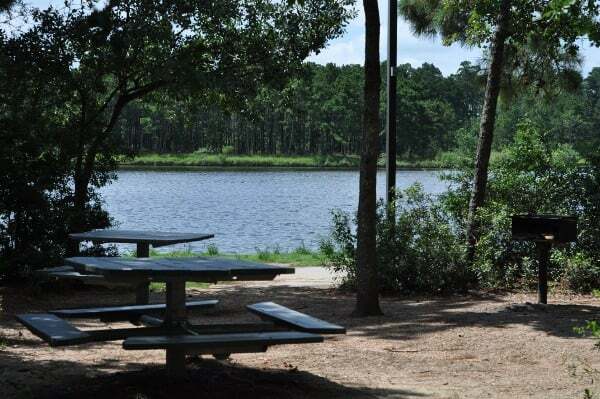 Next time we go, we’re going to pack a lunch for a picnic at the tables under the trees. 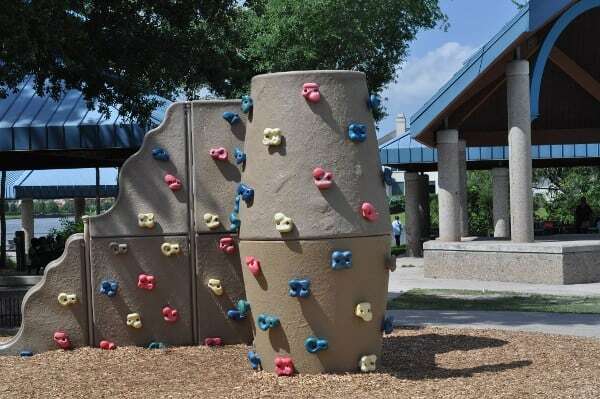 The equipment is not right on the water… but kids could wander over to it… so be ready to watch them. Also, there is a lot of shade, but the equipment is mostly in the sun… so plan ahead! Cottonwood... Family and Pet Friendly with Live Music, Patio, Park and Good Food!